When he came to us, Rufus wasn’t very pretty- or easy to reproduce. 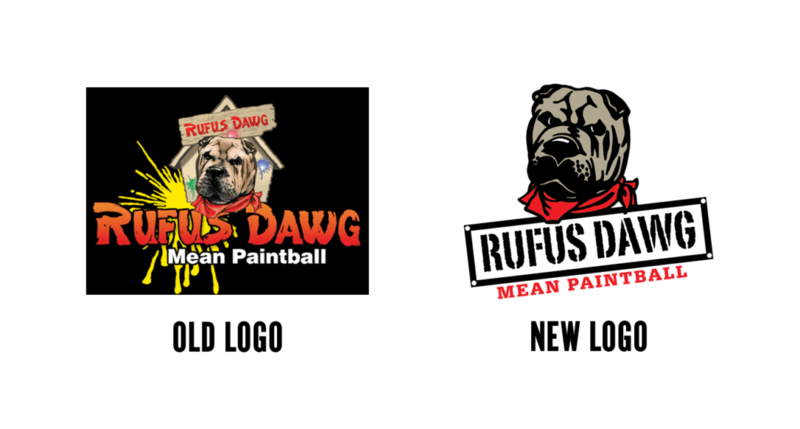 When the new owners of this paintball accessories firm took over the brand the “dawg” had a different look on every piece of packaging- as well as the mug of the dawg embossed or debossed on almost every product. The name was included sometimes- and others, it wasn’t. The “logo” didn’t really work in 1, 2 or 4 color. We redesigned it to work in one color or many. This brand needed a makeover into a consistent brand image. The new look incorporates the mascot, the brand name and the tagline all in one. You might even want to have it on a shirt.